1. Place the scrap paper on your face and hold it firmly so that it touches the skin properly. 2. Take the marking pen or black marker and mark the areas around the corner of your face. This is actually for figuring out the facial area where the mask is going to be after application. So, put marks on the center top of your forehead, middle of the chin and two sides of your cheekbones respectively. Also, mark both of your eyes and the openings of your nose and mouth at the same time. 3. Now, remove the scrap paper from your face and spread it over a flat surface. Connect the marks that you put on it indicating the outline of your face and you will come up with your facial structure right onto the paper. 4. Create two circles around the dots you made on the scrap paper indicating your eyes. Do the same for your nostrils and mouth too. 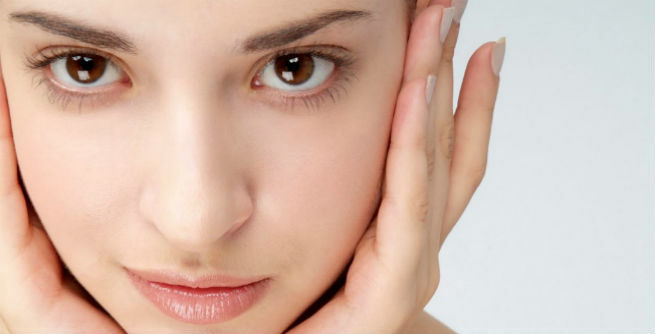 It will help you prevent the mask from overlapping your eyes, nostrils or your lips easily. 5. Once you are done with the outlining, start cutting the paper with the help of the scissors along that outline. The portions of the paper surrounded by the circles indicating your eyes, nostrils and mouth should also be discarded. However, be careful while using the pair of scissors so that you do not end up hurting yourself. 6. 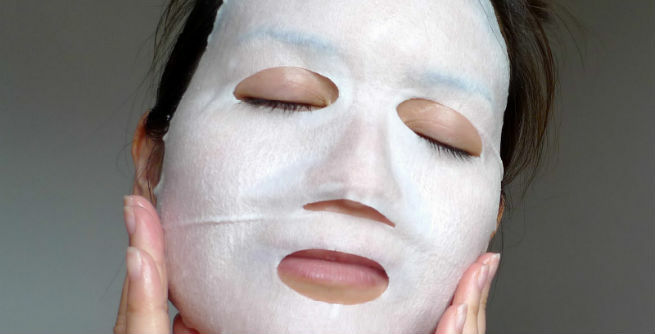 Put the template on your face and check whether it covers your entire facial area properly. In case you find that it is a bit smaller, do some adjustments in the next step. 7. Place the template over the bunch of paper towels and hold it firmly against them. Draw a line around the border of the template with the help of the pencil. Do the same for the eyes, nostrils and mouth circles too. Try to maintain a little space between the line and the template in case it was smaller than your facial area. 8. Cut down the paper towels along the lines you have created with the pencil. Your paper masks are ready now. 9. Fold them together and put the whole bunch into the plastic or ziplock bag. 10. Pour pure and organic aloe vera juice into the bag slowly and generously. Make sure that the folded paper masks get enough aloe to absorb. 11. After 2 to 3 hours, take them out of the plastic or ziplock bag and you will get the soft, nourishing and above all, skin-saving ‘cloth facial mask’ for yourself.